"An apple a day keeps the doctor away" really? Did your grandma tell you this too? Well your grandma was right, we now have countless research to prove not only eating apples but eating a wide variety of fruits and veggies reduces your risk of heart disease, diabetes, cancer and all chronic disease. Keeping this in mind, smoothies are easy to add to your person health plan. What no plan? It's never too late to make one. Mine includes a smoothie a day. I have to admit smoothies are not only one of my favorite meals on the nutrition meter it's the perfect meal. Creamy, smooth, sweet, savory and yummy cold. My mouth is watering just thinking about having a smoothie. Missing a food group well just make a smoothie and throw it in! You can add any combination of foods within that deliciously smooth creamy drink. Yes, smoothies are the perfect meal. 10 Reasons to have a smoothie a day. 1. Versatility. Breakfast, lunch, dinner, dessert take it anywhere with you and you can have one anytime. 2. Inexpensive. Whip up a smoothie for about $1.50 - $2.00 per glass. 3. Flexibility. Thick like ice cream, or thin like nectar. 4. Fast food. It take less than 5 minutes to whip up a batch. 5. Healthy. Adding fruits and veggies will increase your lifespan and vitality. 6. Easy. Pour rice, almond, soy milk or water, a scoop of protein powder then blend. 7. Fruits. Add any combination of your favorite fresh or frozen fruits (1 cup/drink ie. 2 servings). 8. Vegetables. Add any combination of veggies, kale, cucumbers, carrots, celery (1 cups/drink ie 2 servings). 9. Salad in a glass. Add apple cider, romaine lettuce, spinach, kale, tomatoes, cucumbers then blend. 10. Energy drink. Power packed with phytonutrients, vitamins,minerals and fiber. I'm always on the look out for great smoothie recipes. If you have one share it with us. In the meantime here is one of my favorites. Blend in a high speed blender until smooth. 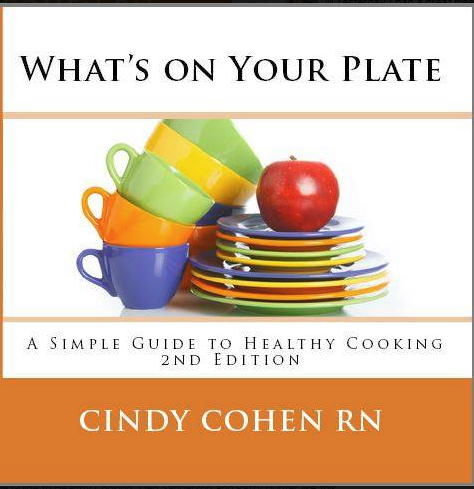 You can find more of my favorite recipes on Facebook What's on Your Plate a Simple Guide to Healthy Cooking and by signing up for Wellness Wednesday Getting Healthier Each Week.